My pleasure...so thrilled that you are loving the PV and Sensai foundation! Thanks so much for putting this out!!! 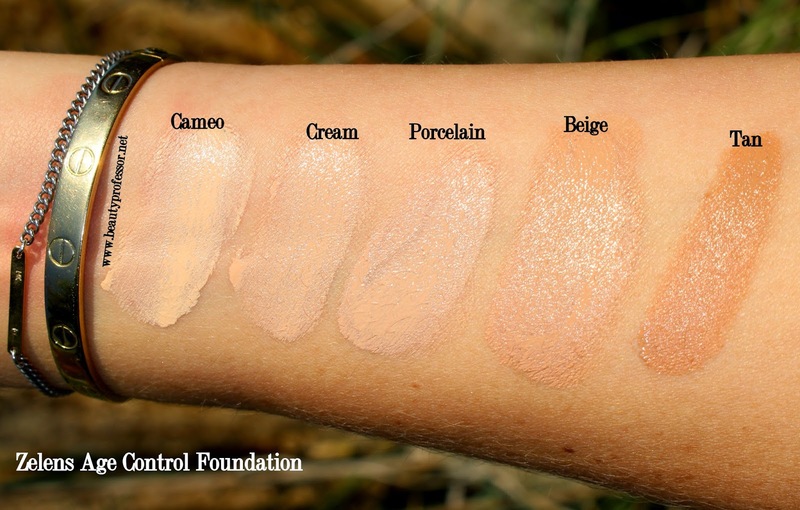 I've had this foundation on my radar since its release and I've been dying for someone to swatch. You are the best! Going to NYC from Canada in 4 days and this comes at the perfect time. Glad you enjoyed it and that my swatches were helpful. Hope your time in NYC is/was wonderful! Merry Christmas, BP! Hoping for some advice - I'd really like to add a "skincare-grade" foundation to my current rotation and was hoping you could make a recommendation. Do you have a favorite? 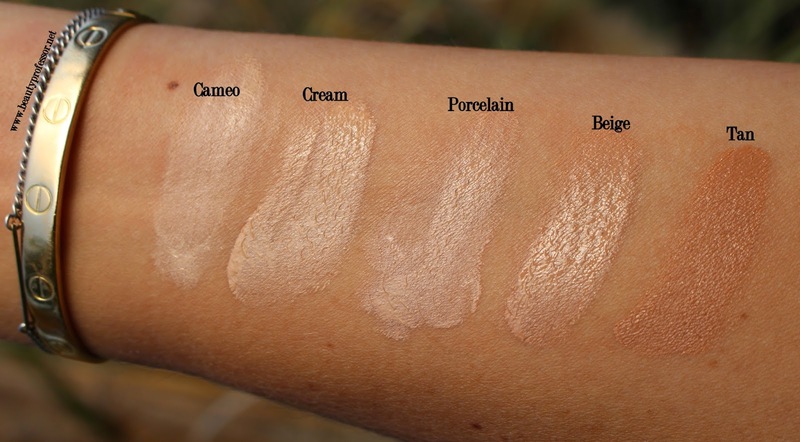 I've got dry skin, so I like a bit of glow, but not shine or shimmer. I've been re-reading your reviews of the By Terry, Sisley, and now Zelens, but thought I'd ask for your indulgence with a personal recommendation. Thank you - hope you and your family have a wonderful holiday. Hope your Christmas was lovely, Suzy! With regards to your question, if you are looking for a luminous foundation with skincare ingredients, then I recommend the Zelens, the Sensai Cellular Performance Cream Foundation or the Shu Uemura Oleo-Pact Cream Foundation...all three are marvelous options! Hi BP! and i hope you are having a glorious holiday season!! what do you think about this very the ByTerry Densiliss? i assume the Zelens is more long wearing, but i read elsewhere that those of us with dry skin might prefer the ByTerry as it is more moisturizing. do you agree with that? any other notable differences between the formulas (aside from color range). thanks as always for your excellent coverage of all things beauty!!! Hello SJ...great to hear from you! With regards to your question, while I adore the By Terry Densiliss, I do find the Zelens to be more long wearing and I also find that it is moisturizing, making it the perfect option. If you can find a match in the Zelens, then I implore you to give it a try ; ) I don't think you'll regret it! You absolutely need this in your life and the By Terry Concealer is also essential...both are spectacular base options! GAH! I think Cameo would work for me and I want to test it so badly! Awesome, Clever Girl...I hope you can get your hands on a sample! Hmmm, this looks lovely. I don't usually pay much attention to full coverage foundations -- at my, ahem, "mature" age, they're usually too prone to emphasizing lines, yikes! -- but this seems to have potential for a more youthful look. Now it's vying with the D&G Lift foundation you reviewed recently for my next foundation purchase. I'm attracted to the skin care benefits in both; if the foundation is going to sit there on my face for hours, it might as well "do" something!! Would love to hear your thoughts on how they differed for you. 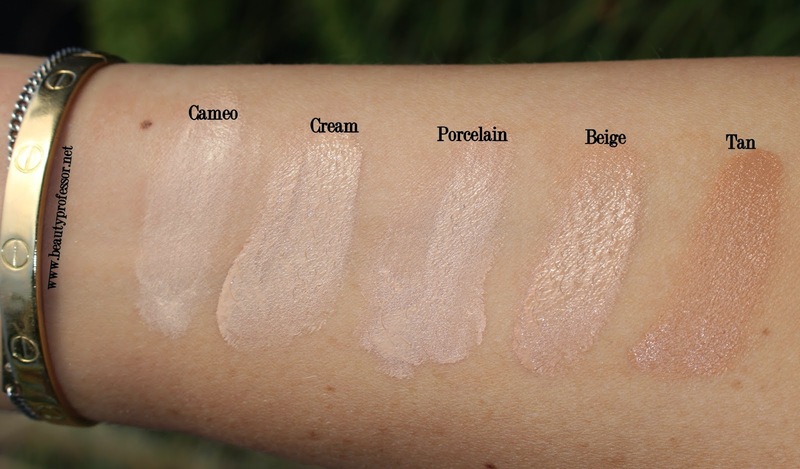 Much gratitude for yet another informative review with extremely helpful swatches. Hope you are having a lovely holiday season! Best wishes to you and yours. Thanks for your comment...I will try to do a comprehensive compare and contrast with four or five full coverage, anti-aging foundations very soon...in the meanwhile, I encourage you to see if you can get a sample of the Zelens...I suspect you will love it! Thanks for this review. Yes, I want, need this right now in my arsenal. I think I'll try Cream. God knows I always get the wrong color. It is my tragic destiny with foundations! Wishing you Happy Holidays along your loved ones beautiful one! So glad you have homed in on a potential match in this incredible formula...do keep me posted! Awesome review. I think Santa will be ordering this for me tonight! ;-) Hope you have a Merry Christmas! Thank you, Sarah...that is fantastic news! Love your blog! I'm currently wearing warm sand By Terry cover expert. What shade would you recommend? I live in Hawaii, so I'm also looking for something that will handle the insane humidity ! I am normal to oily. Thank you for the kind words, Anon! I am guessing that Beige will be your best match, though it could be a touch light. However, I think that Tan will be too dark?! I recently purchased the Zelens Youth foundation and am so excited for it to arrive! I purchased cream, so I'm glad to see that it should be a decent match for my skin. Have you ever tried Ellis Faas Skin Veil? It's my current favorite at the moment, but, like you, I'm always hunting for the next best thing! Thank you for always having such thorough and enjoyable reviews! Thanks for your comment! Yes, I have the Ellis Faas Skin Veil and it is lovely...so glowy and natural but I generally prefer a touch more coverage. Hi BP, I've ordered the By Terry concealer after seeing all your positive reviews on it. Can't wait to get it. I love this Zelens but not sure if it may be too dark in beige. I usually wear nat. beige and almond beige in kanebo. In some pics it looks fine but others dark. So excited that the By Terry concealer will soon be yours! Please keep me posted on your experience! Yes, Beige is a touch dark for me but it's not a big deal overall, and I can add a drop of something lighter should I need to...I'm guessing it's your best match as the lighter shades are much lighter. All ordered as you know I've spoken to Bryce!! Wonderful to talk with u!! Can't wait to receive it along with a sample of youth glow, possibly for summer. Also some skincare samples. So excited. Thank you for this good review; I was really curious about this foundation and think I will give it a try! Looks perfect on your skin and really natural too and that's what I'm looking for! Good to see all the swatches as well; as it is hard to choose from a website! Hope you had a wonderful Christmas with your family! I am so glad that you enjoyed the review and found it helpful...thank you for the kind feedback. Thank you for this review. Was wondering if you think this would work for normal to dry skin. My skin is especially dry now with winter but tends to be dry all year since I live in the desert in Arizona. Also do you think porcelain would be a good match for me..I wear Dior Star in 020 and Ellis Faas Skin foundation in s102? I tend to lean slightly pink but don't like to emphasize it since pink tones sometimes oxidize on me to an unflattering orange. Can't wait to see your 2014 favorites! Am already loving some of your recommendations including the By Terry Concealer and platonic blonde blush. My pleasure...I do indeed think this would work for normal to dry skin, especially if you use a moisturizer and/or primer first. Porcelain sounds like a great match for your skin in light of the shades you currently wear and I find this formula to be more hydrating than the Dior Star! I hope that helps...glad to hear you are loving the new By Terry Densiliss products! Hi BP:)I just love your blog, you do an implacable job! I have been loving the SK II line, just did wonders for my acnic skin. Thank you for sharing. I was hoping might provide a few foundation recommendations for my sensitive oily skin. I am currently using CdP cream foundation, I have KS CPCF which I love the look and feel, but only last 4-5 hours before blotting and touch up required. I've tried the TF but breaks down once my oilies set in. Weird. Sorry this is so long, but you've procured a lot of amazing products. Can't wait for you 2014 faves, and what next year will bring. Have a wonderful New Years!!!! Thank you so much!!! I am glad to hear that SK-II has been effective for your skin, too, and hope you find your way to your perfect foundation. Do you wear a primer under the CdP Cream? I love either the LMdB Peau Vierge and/or the By Terry Densiliss to increase longevity of my foundation! Love the Zelens Foundation. I've been using the Beige. Usually I would use a lighter shade. For whatever reason this blends out and looks perfect. It lasts least 81/2 hours for me in the Florida humidity and heat. I'm amazed at how natural it looks. The other thing I really like is it is weightless. A great foundation! So thrilled to hear that Beige is a perfect match...thanks for sharing! Isn't the lasting power insane?! If it is holding up in Florida humidity, it is stalwart, indeed! From the box, is the place of manufacture listed? I am curious. Thanks! It is made in the UK! Hi! Would you recommend this foundation for combination skin? Yes, I think this works well with combination skin...hope that helps. Hello, Lucy...thanks for the kind words! So glad you are loving the Lancer Polish and LMdB Peau Vierge as I do! With regards to your question, it all depends on the finish you are seeking. Both formulas have beautiful natural skin finishes and are good with combination skin but the Zelens is a bit more matte (though still natural) than the Sensai. I am really interested in the Youth Glow! Do you think it's gonna be too much for combination skin? 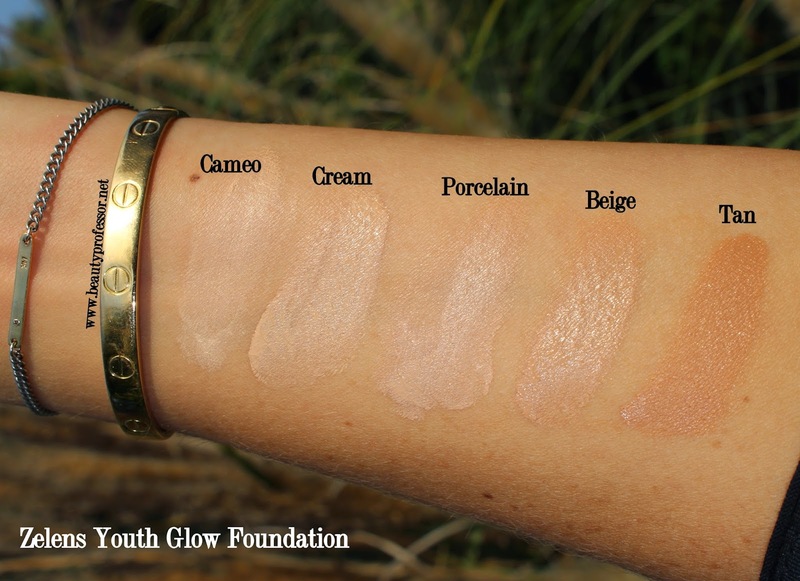 No, I don't think the Youth Glow will be too much...it is just lighter coverage than the Age Control! Thank your for answering! I went through all your foundation posts just now and I stumbled upon Sensai. The fact that it's still on your favourite list even after years of trying newer foundations intrigued me haha. Is Sensai more dewy than Youth Glow? And which one has more coverage and more lasting power? Hello BP! May I ask whether the Youth Glow has the same amount of coverage and dewiness level as Sulwhasoo Perfecting Cushion? Thanks! I would say that the Sulwhasoo Perfecting Cushion offers more coverage (nearly full with a bit of layering) than the Youth Glow formula, which is really impressive for a cushion compact!